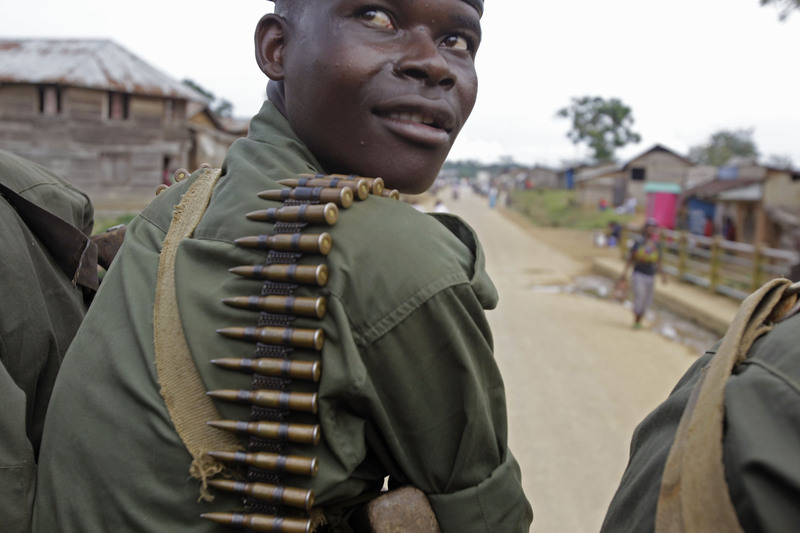 GOMA, Democratic Republic of Congo – When the M23 rebellion broke out, observers were divided over whether the smuggling ring led by wanted warlord Bosco Ntaganda would continue to help fund the rebellion, or would be hampered by the fact that most ex-officers of the National Congress for the Defense of the People, or CNDP, were needed in the bush to join Ntaganda’s mutiny. A confidential report by the U.N. Group of Experts on Congo, leaked to Reuters news agency last week, makes clear which way that scenario played out. “Several traders have contributed to finance M23 rebels out of profits resulting from smuggling Congolese minerals into Rwanda,” the report states. A recent scandal in Goma—in which two tons of coltan were intercepted allegedly en route to Rwanda—offers an illustration of how those networks operate locally, shielded from scrutiny by the authority of the Congolese army and protected by the patronage system long enjoyed by elements of the National Congress for the Defense of the People, or CNDP, and its affiliates. The central figure in the scandal, Ex-CNDP Lt. Col. Innocent Nyabihiri Bazige, was thought to be part of the Congolese army’s “battalions blessés” in Goma—units of soldiers who are not given official assignments because they are injured but are allowed to maintain their official status as Congolese soldiers. But Lt. Col. Bazige could not prove before the North Kivu military court that he is a sworn in senior officer of the Congolese government’s forces and neither could his bodyguards. Lt. Col. Bazige appeared before the court earlier this month in a public trial along with two of his bodyguards, accused of armed robbery and criminal conspiracy.